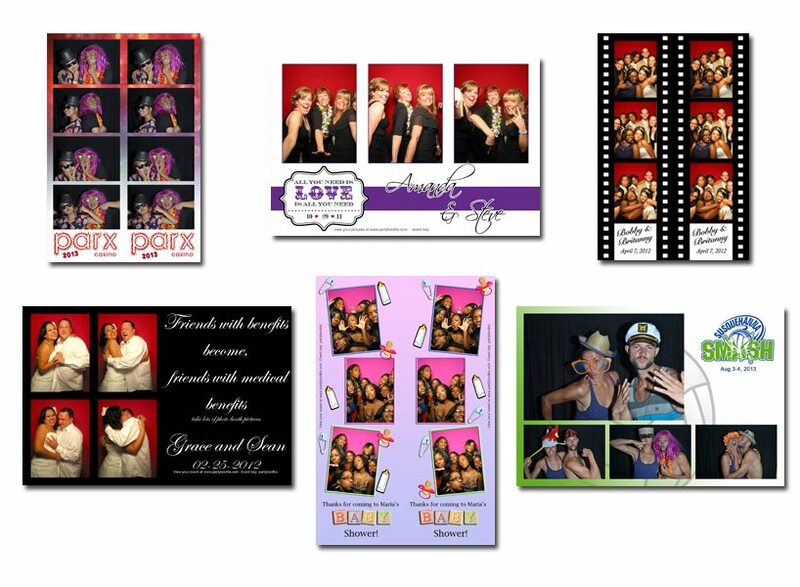 All of our rentals include the choice of print “configurations”. We currently have 6 different configurations to choose from shown below. Remember, we will add any text, logos, graphics, etc to your print outs and will even design a custom layout for you for free. Then we will send you an email proof for your review prior to your event.